Real Estate Appraisal - home appraisal - appraiser - real estate appraiser - residential appraisals - Mountain Home, AR - Terry Appraisals LLC. For years, mortgage lenders and consumers have relied on Terry Appraisals LLC. 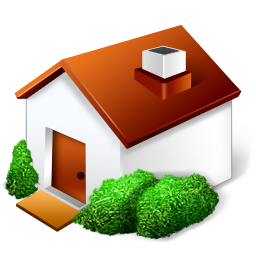 to provide high-quality appraisals on all types of property in Baxter County. By continuously analyzing local real estate trends in Baxter County and staying current on valuation techniques through accredited courses, we've been consistently able to produce reliable home valuations for people just like you. Why Choose Terry Appraisals LLC.? Technology plays a high profile part in how Terry Appraisals LLC. does business. It helps keep rates down while simultaneously achieving best in class quality and responsive service. We also believe that regardless of the business, service is the top reason a client comes, goes, repeats or gives your number to their friends. Also, we treat our clients as we'd want to be treated ourselves whether we're face to face, on the phone or communicating in e-mail. The end result is the best possible experience for our customers. Experience first hand the difference. Call us today. Reliable, accurate appraisal services in and around Baxter County.